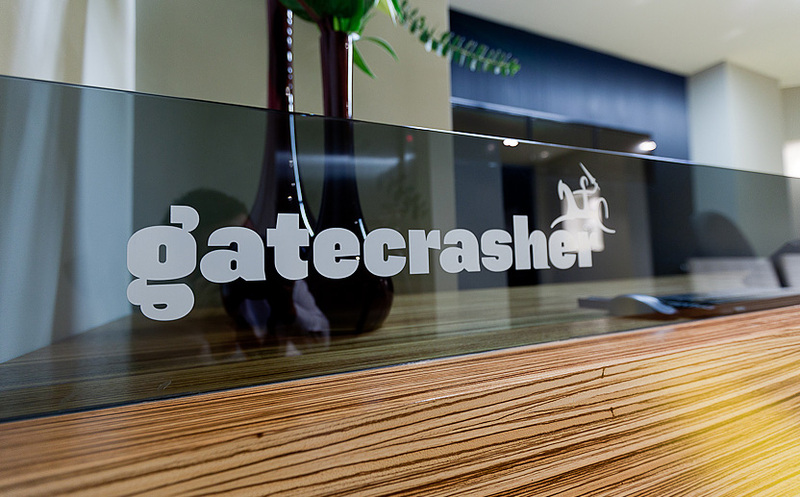 Gatecrasher Advertising is a self-professed integrated ideas company who likes to find original ways of doing things. 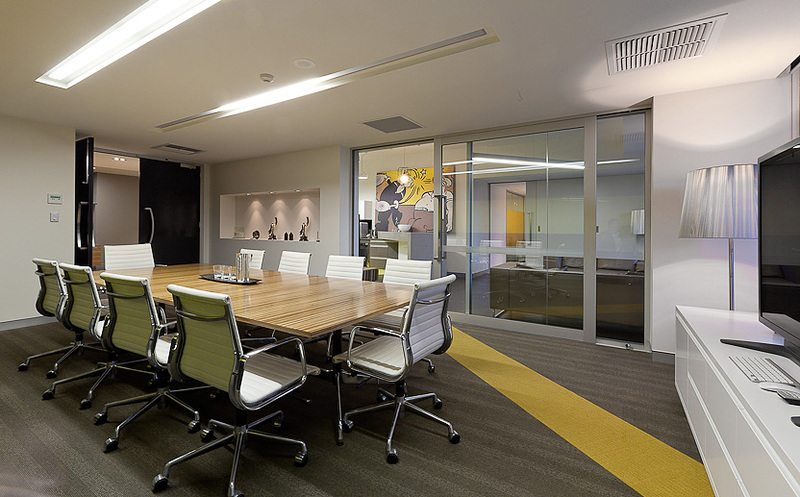 Formed in 2001 with a team of 3 men disillusioned and stifled by the big agency mentality, the company has enjoyed rapid growth and has received numerous awards for its advertising and marketing campaigns. 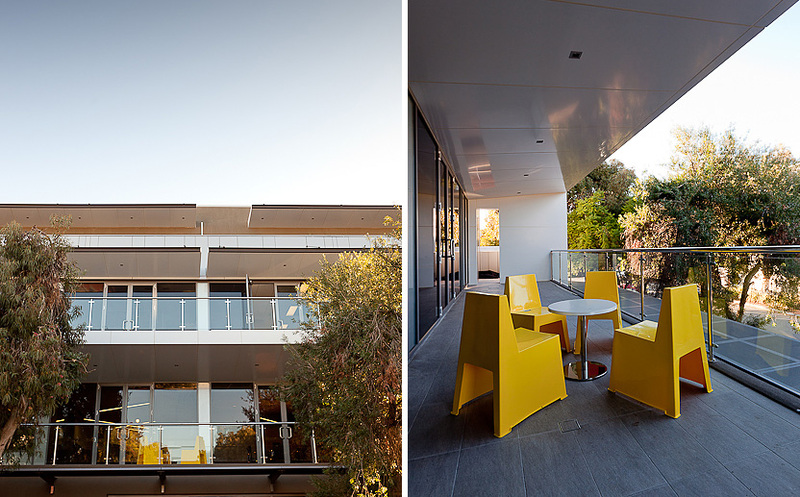 Habitat 1 won the campaign to design the new residence of this digitally focused agency. 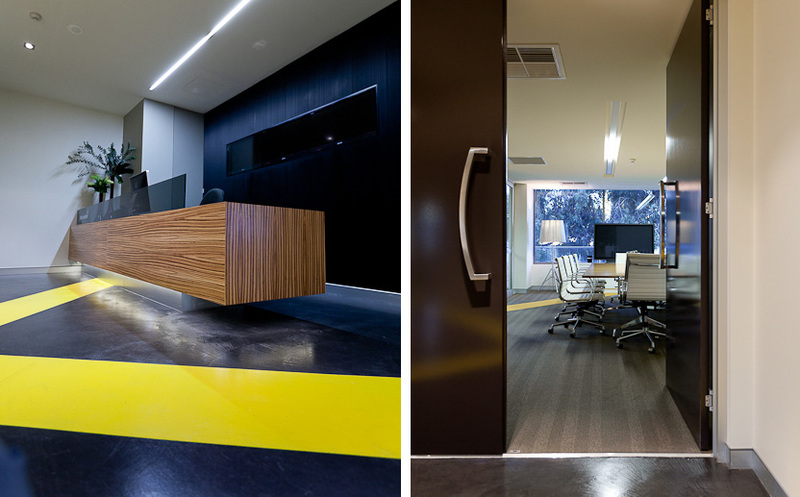 Moving into a newly-built larger tenancy in Subiaco, the brief was to create a cool, edgy open office that reflected the creative nature of the business whilst maximising space. 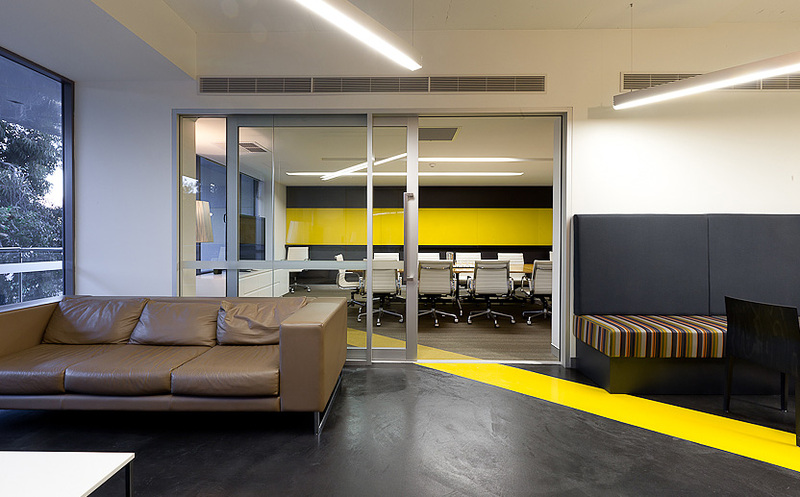 The wow factor was to be enhanced through the clever, bold use of branding colours and graphics. 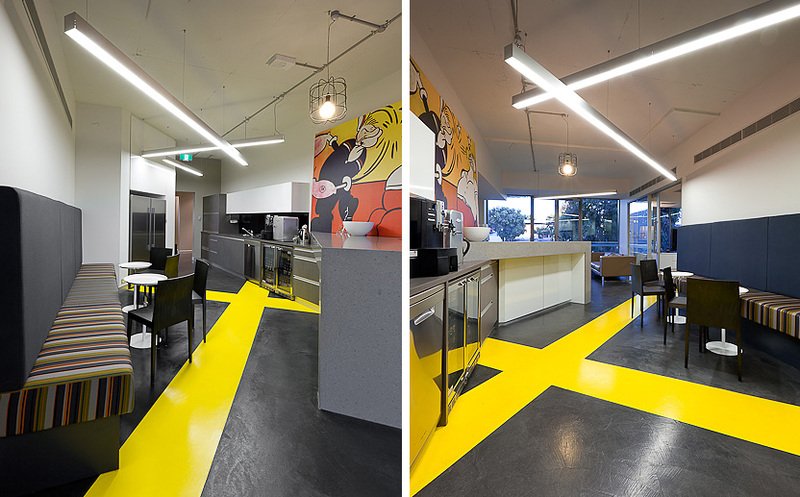 This was conceptualised by Habitat 1 though a play on the “yellow brick road” with the Gatecrasher yellow being incorporated as pathways within the floor treatments to create a play on perspectives and whimsical lightness throughout the fitout. 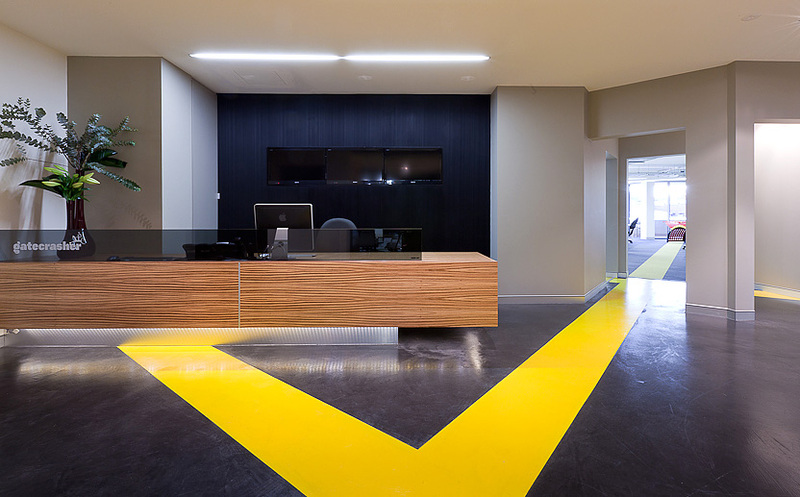 The initial journey begins at reception, the forefront of the company where the latest campaigns and digital media is displayed across the 3-way LCD screens. 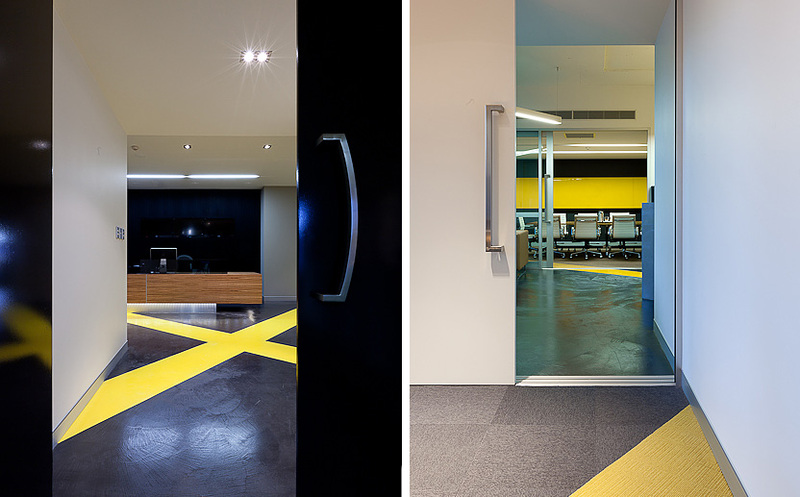 The workspace is separated from reception visually via a tunnel of doorways, providing multiple access pathways to the open-plan work area. 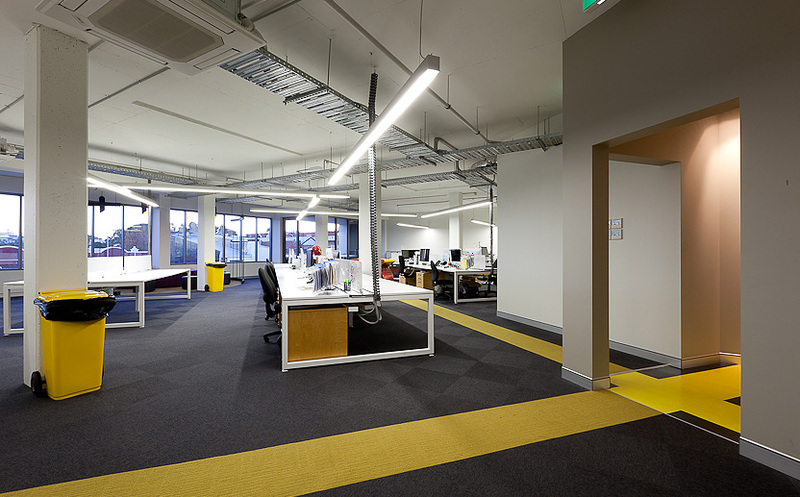 Bench-systems were selected for the workstations as these maximised staff numbers and enhanced the open-plan feel. 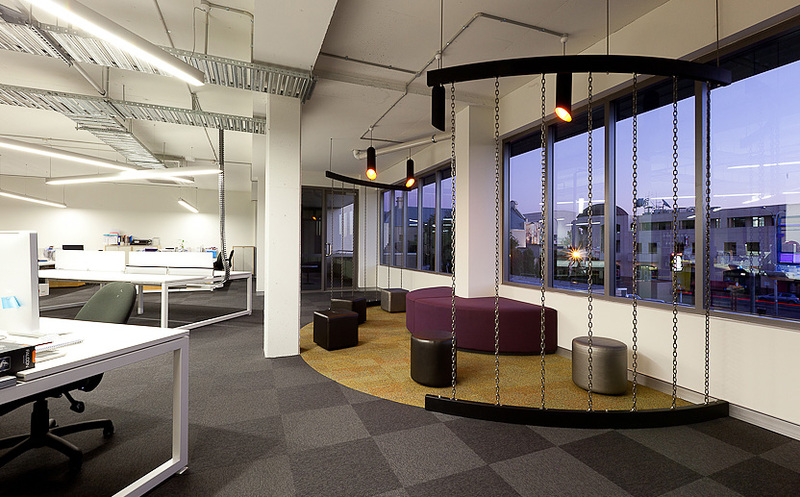 Within this area, a birdcage-like meeting space with a view over Subiaco and walls simulated by chains, created visual interest and a unique space for staff to mingle. 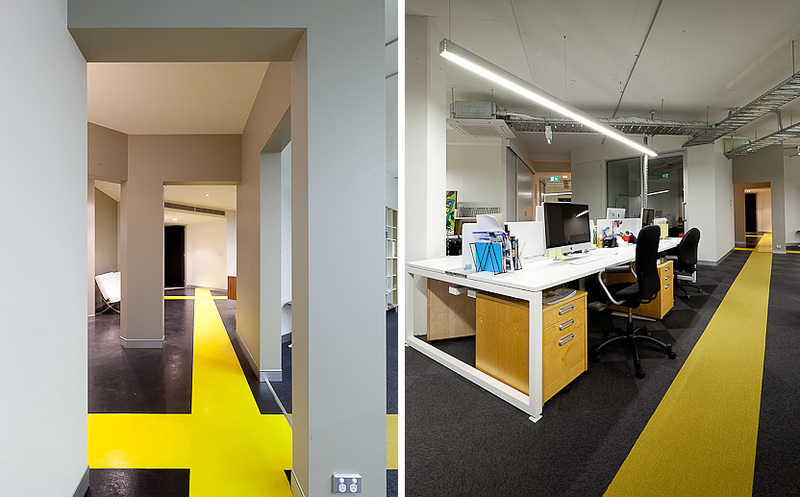 A creative room with bean-bags was also included. 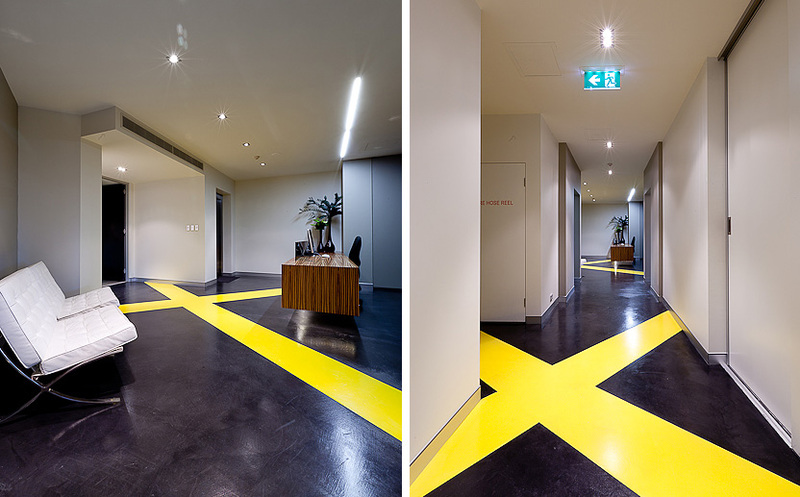 Crossing over the main reception pathway leads to the kitchen which provides flexible meeting space and can be opened up onto the boardroom, meeting room and balcony for larger functions. 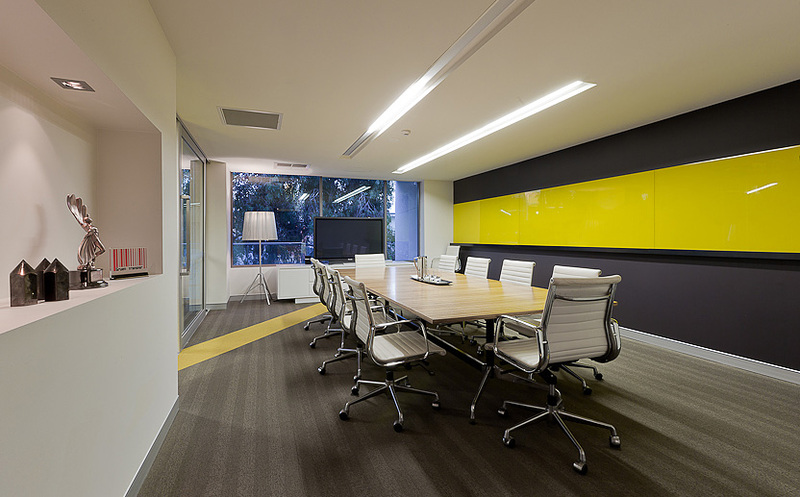 The entire space was designed for the installation of changing media, through LCD screens, vinyl graphics and artworks. 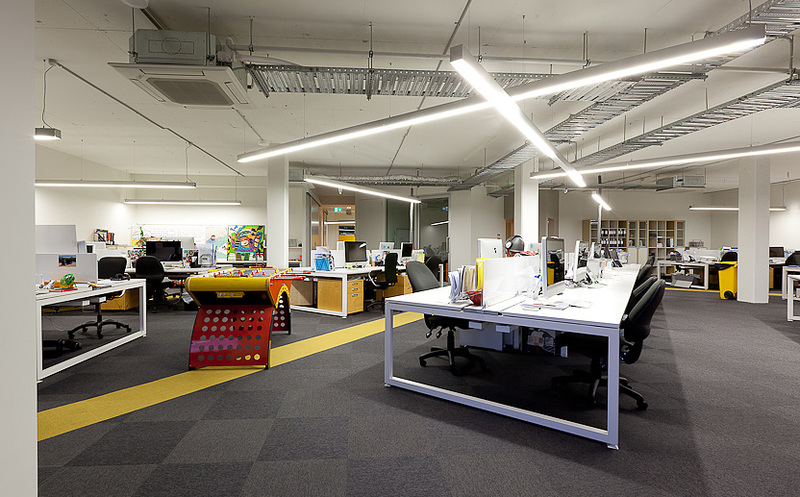 The overall effect being an office with various multi-use spaces that are thought-provoking and quirky, catering to the unique creative needs of Gatecrasher. 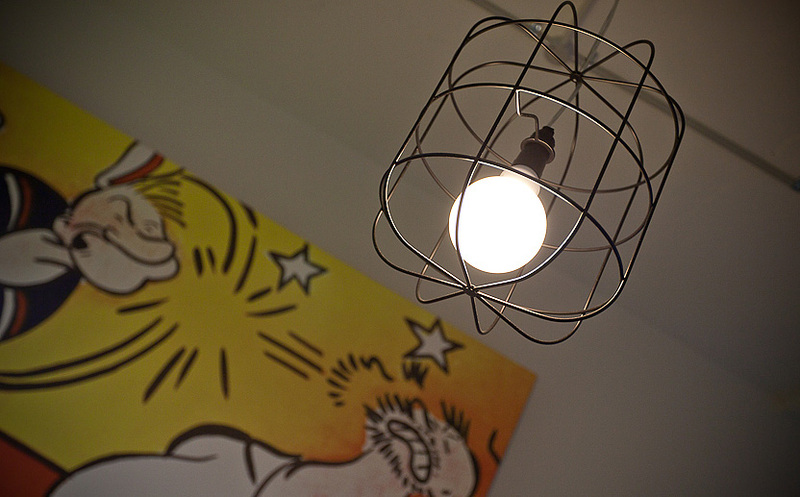 No matter what your requirement we can create a space that is unique to you and your brand. 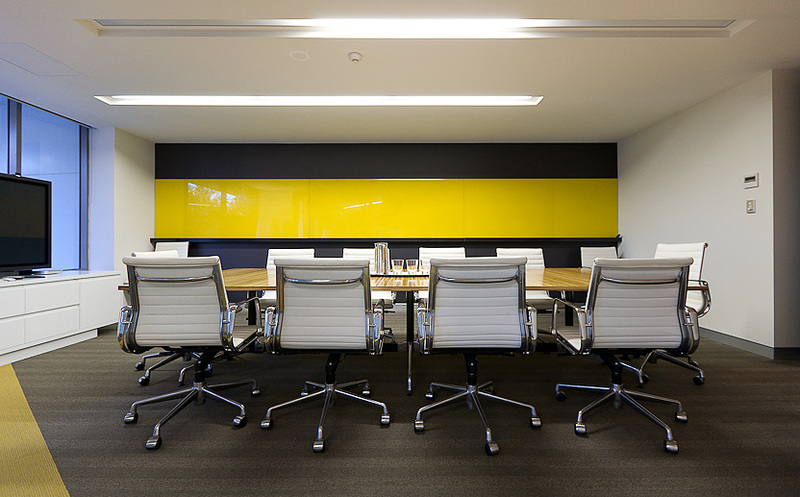 To reserve your free consultation with one of our experienced team please fill out an online enquiry form and we will be in contact.